210,000 * 100 = 21 million. Economically, because the currency is effectively infinitely divisible, then the precise amount doesn't matter, as long as the limit remains fixed. I don't know if this was thought up ahead of time, but it sure makes sense in hindsight. The reason 21 million is the right number is because people don't know how to value currencies. For instance, right now a Euro is worth $1.30 USD and a Japanese yen is worth about a U.S. penny. Ask someone which currency they would rather hold right now and most will answer Euro, because $1.30 is worth more than $0.01. Of course, that relative unit value means nothing. Ask most currency traders which currency is better to hold and most (today) would probably say Japanese yen, because what matters is whether the value will go up or down, relative to the other being compared. When bitcoin hit parity with the U.S. dollar in Feb 2011, it gained a sense of legitimacy that helped propel it on a tremendous pace, rising over 30X that level just four months later. If there had been more than 6 million coins issued by then, the total dollar value of all bitoins would probably have been about the same, and thus the exchange rate would then have been lower. So let's say there were instead 60 million coins issued by Feb 2011, and each one worth a dime. That 60M X $0.10 is the exact same total dollar valuation the 6M X $1 has ($6M) for all bitcoins combined. Tthe difference is that because it had become "worth more than a dollar", and as a result people attributed greater interest and respect for it. Had it not been "worth more than a dollar" so early, it might have taken a whole lot longer to get the name recognition and attention it did that has helped attract the participants that Bitcoin has today. Bitcoin today stands on "dollar parity"'s shoulders. That may sound bizarre but ask that Euro / Yen question to different people yourself and then ask the reason why their answer was given. So the number needed to be a low enough number so that while total dollar valuation of all bitcoins was still in the single-digit millions it would reach parity with the U.S. dollar at some point. A total of 174,100 tonnes of gold have been mined in human history, according to GFMS as of 2012. This is roughly equivalent to 5.6 billion troy ounces or, in terms of volume, about 9261 m3, or a cube 21.0 m on a side. Since Bitcoin is often compared to gold, total number of bitcoins matches total amount of gold mined in human history which can be imagined as a cube 21 m on a side. As it is not entirely so important how many Bitcoins will exactly be mined. Satoshi could have easily chosen almost any number. He could just adjust block reward halving (210 000 blocks), reward sizes (50, 25, 12.5 ...) etc. to match some particular number. The exact number of Bitcoins is not important. Whether the end result is 1 million or 100 billion makes little real difference. The important aspect here is the process, not the quantity. New Bitcoins enter the system in an orderly, predicable way. 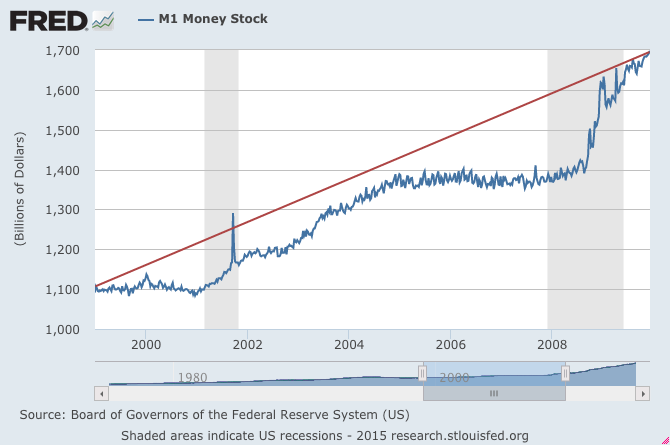 Outside forces cannot arbitrarily flood the currency with new money. An incentive is provided for people to apply their CPU power to make the currency more secure. Eventually, Bitcoin has to be self-supporting through transaction fees. Hence the tapering off of blockchain rewards. Having said all that, there are some psychological advantages to having a low limit like 21 million. It was inevitable that people would see Bitcoin as being "more valuable" if the exchange rate for a whole Bitcoin was over $1. Ensuring this "high exchange rate" but making the coins highly divisible was probably a conscious design decision. It is the result of a 50 bitcoin reward half life of 210,000 blocks. Reward starts out at 50 bitcoins and halves ever 210,000 blocks. This works out to be 2.1 quadrillion monetary units of currency (satoshi). This is probably the largest number estimated to be needed for a global currency and some padding for attrition. This was done based on production rate mostly. They did take some things into account but the number doesn't have a real economical explanation rather than the fact that they had to stop production somewhere to maintain a value. I think another curious question is why the 4 year halving schedule? Is this based on national US elections? Is it based on a calendar Leap Year? Is it Satoshi's approximation of a reasonable re-evaluation period for BTC participation rates? 42 is the Answer to Life, the Universe, and Everything. Bitcoin block rewards are cut in half every 4 years. Half of 42 is 21. Nearly every person can understand what x "million" means, but comprehension breaks down rapidly with larger numbers. Very simple answer: The reward for Bitcoin Miners had been 50 Bitcoins per Block for the first 210,000 Blocks. For the next 210,000 blocks it is the half of 50 (=25). Take the geometric series and you'll be getting the total amount of nearly 21 Million Bitcoins (nearly, because a geometric series converges to his boundary value, but never reaches it!). Not the answer you're looking for? Browse other questions tagged economics finance or ask your own question. Is the potential number of blocks in the Bitcoin blockchain limited?